At times it is useful to chart Temporal Trends. This helps in understanding the cyclic and seasonal trends in Time Series Dataset. Let’s start with the data set. 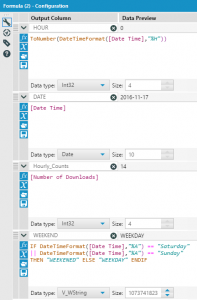 The input data is hourly data of number of downloads. 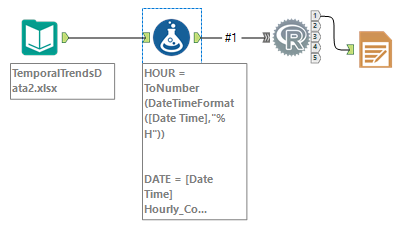 Next we add the R Tool to the Workflow and add the following R code in the R Tool. The R code is easy to understand and modify. 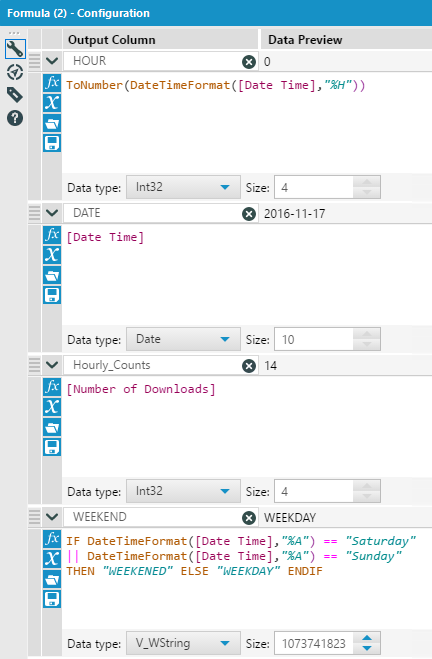 x = HOUR, y = Hourly_Counts, date = DATE, calendar = "monthly"
The last step is to add Report Render tool to add the generated Temporal Chart to a Alteryx generated report.